An amazing story behind Jhai Lao coffee. This coffee is the best coffee on my trip so far. Not only because of the taste. It belongs to the best 2% coffee of the world! Helping the community to sell their coffee for better prices and educate the people for a better and healthier life and all as a non profit organization. 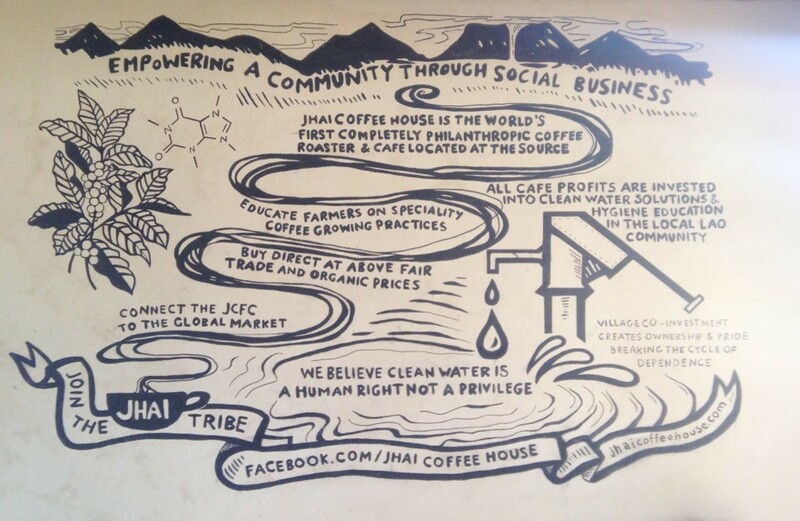 Jhai opened world’s first philanthropic coffee roaster and cafe! It started with Tyson Adams an American guy I met during my motorbike loop from Pakse who has traveled in Laos a couple of years. 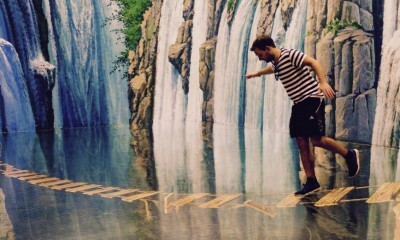 On his backpacktrip he wrote down his dreams. One of them was start a coffee place with good coffee in the US. The place it self was to expensive so he created a organization where he supported clubs and sportteams. He sold them coffee in bulk, they could sell that coffee for a little more and make profit for their sports club or organization. Win win situation. With the money he earned he build a library in the school he visited a couple years ago. 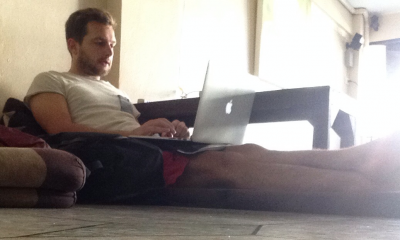 But not lot of Laos people read books so he decided to do it different. He want to do it different. A company made a competition, and the winner gets support to make his non profit dream to reality. Tyson wrote a 9 pages businessplan and won the competition out of 900 other plans! With his Lao partner Jackie he created a new non profit brand of coffee. Normal the coffee farmers sell all of their coffee for the same price a kilo to the big coffee factories. But Jhai teached them how to make good coffee and make a premium product. With the brand of the Jhai coffee they can get more money and live a better life. Now Jhai helps more than 2250 families in the area of the coffee house. They offer programs for schools and teach children about hygiene, teach the farmers how to make premium coffee, how to setup better businesses, build waterpumps, coffee storage places and schools. 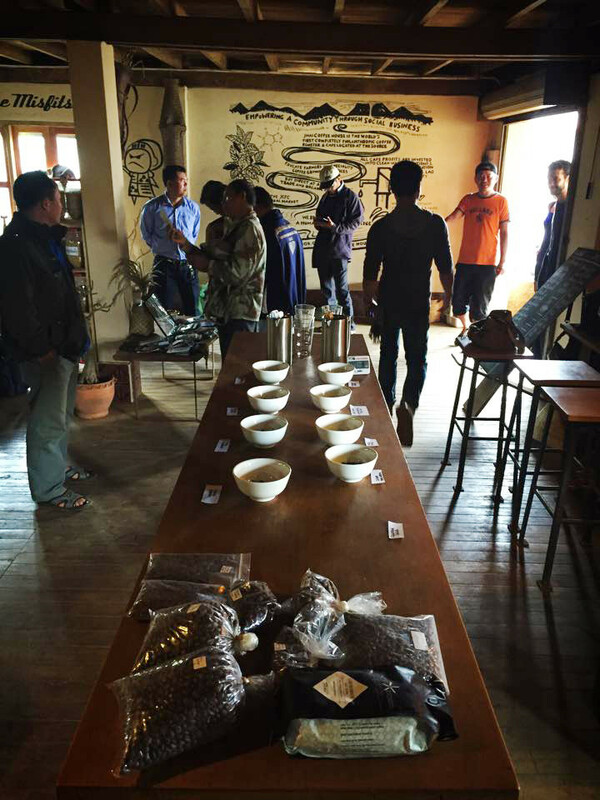 In 2014 Jhai opened the coffee house in Paksong, it is the HQ where Jhai start and create all their “business”. When you do the Pakse motorbike loop the Jhai coffeehouse is a nice break on the route. You can try their coffee and buy packages of coffee if you want. They serve you coffee on the sience way. Roast their coffee themselves. Weight the exact amount of coffee, boil the water. Cool the water for X seconds. Fill the Aeropress, wait X seconds add the rest of the water. 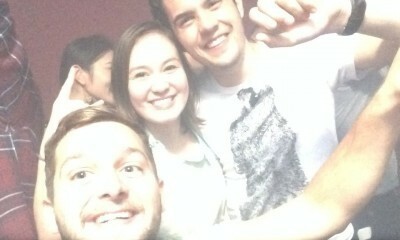 Wait again X seconds. Press the water into the cup and serve you coffee. I thougt WAUW when I tasted the coffee 🙂 Look for the sign below in Paksong when you ride the Pakse motorbike loop. 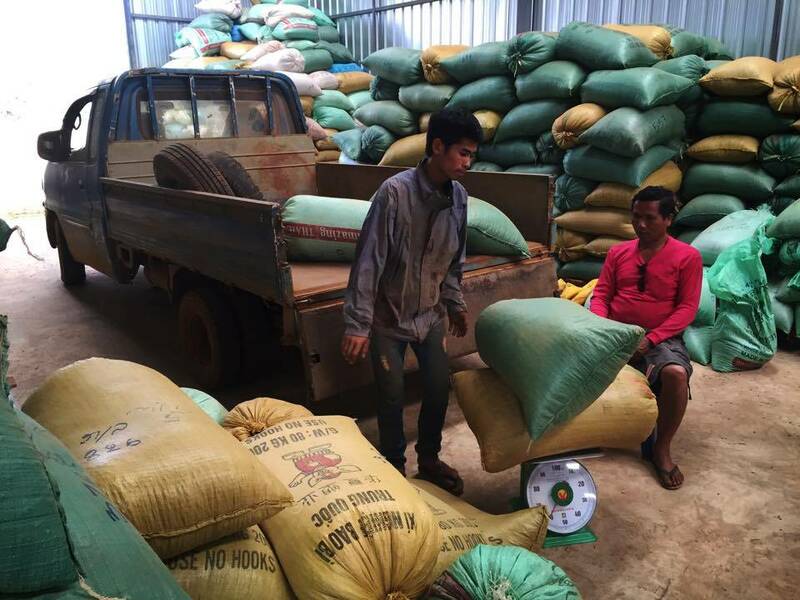 The coffee is sourced from the Jhai Coffee Farmers Cooperative (JCFC) located in Paksong Laos. 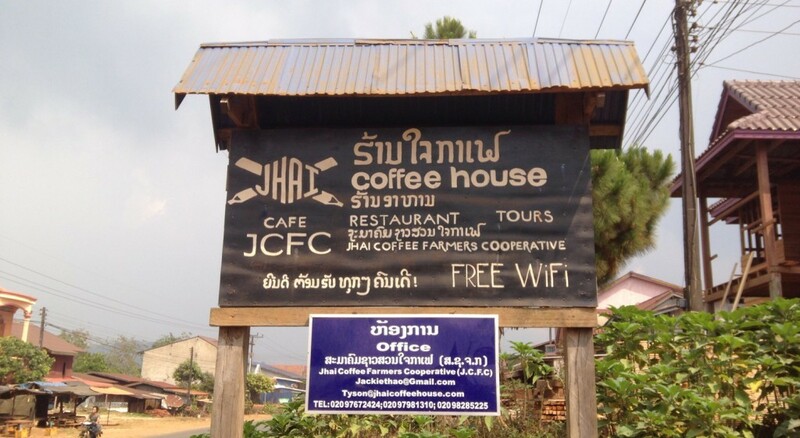 At the moment the JCFC consists of 2250 families in 68 villages and is the only farmer owned organization in Laos. They grow predominantly robusta, Arabica catimor and Arabica typica coffee. 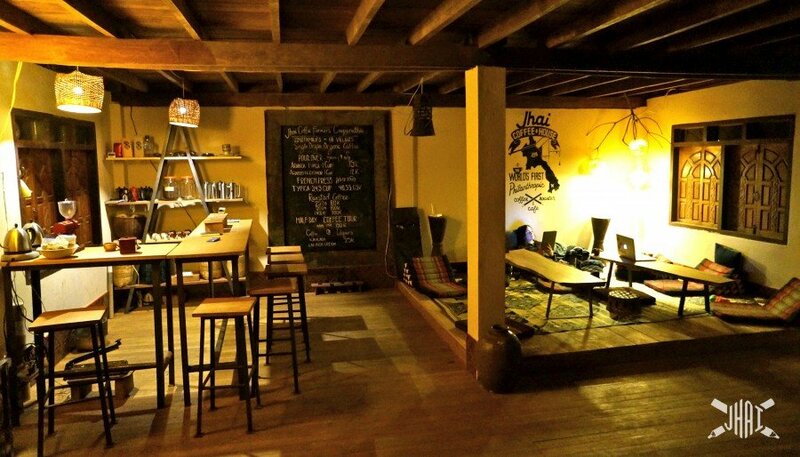 Jhai Coffee House is the world’s first completely philanthropic coffee roaster & café, located at the source. Jhai educates farmers on specialty coffee practices, purchases directly from farmers & invests 100% of net profits into water & hygiene solutions at schools within the community. 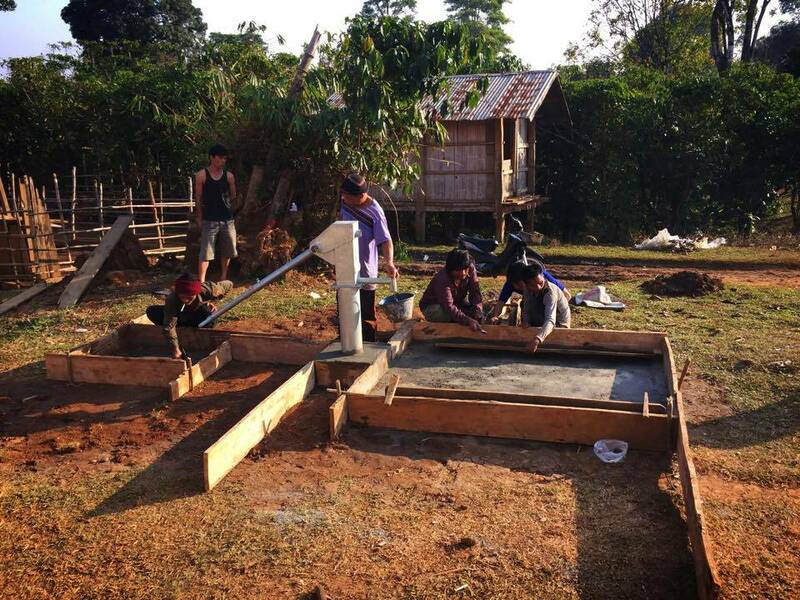 We believe access to clean water is a fundamental human right; our mission is to bring 63 schools on the Bolaven Plateau hygiene education and clean water by the end of 2015. 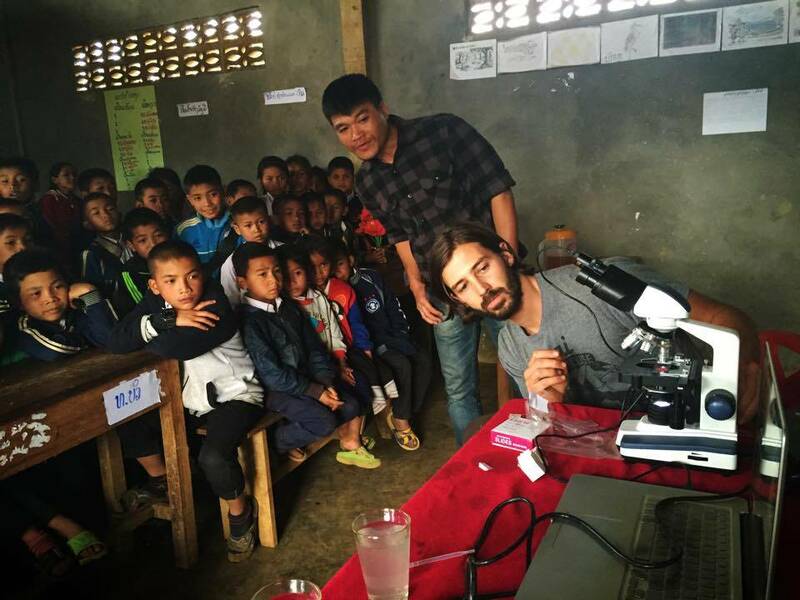 Water & Hygiene: In 2013-14, partnerships with the Lao Government, JCFC & private water filter company, Terra Clear, enabled Jhai to serve 18 schools, totaling 2678 children. These schools now have water purification filters and have completed Jhai’s hygiene (WASH) program. Jhai also installed 4 Unicef-manufactured clean water pumps at schools that previously had no access. You can support the Jhai coffee easily. Even your like of follow is a way of support!